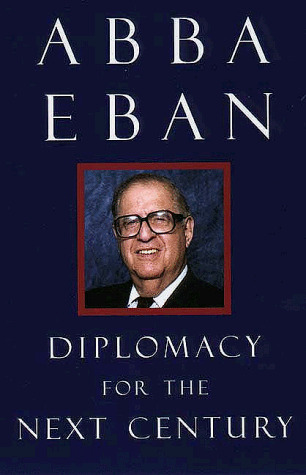 Eban presents his views on the challenges of diplomacy in the post-Cold War era. He has been both Israel's ambassador to the UN and to the US, as well as foreign minister in several Israeli governments, and draws on his years of experience. Abba Eban in addition to his diplomatic and political roles in the Israeli government, Abba Eban was narrator of the nine-hour television series Heritage: Civilization and the Jews, which he turned into a best-selling book. His latest television film, The Brink of Peace, is a survey of the Middle Eastern peace process. He is also the author of numerous other books, including My People, The New Diplomacy, and Personal Witness: Israel through My Eyes.